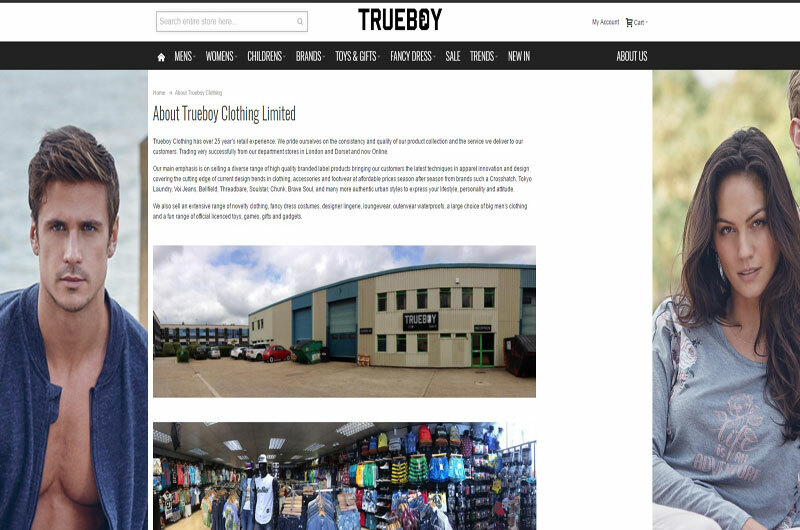 Trueboy Clothing have urban fashion / streetwear shops in Dorset, London and online. Trueboy Clothing has over 25 years of fashion retail experience. They pride themselves on the consistency and quality of their product collection and their delivery of excellent customer service. They trade from very department stores in London, Dorset and now Online.